"You're seeing now institutions moving in," the founder and CEO of Galaxy Digital told CNN international correspondent Paula Newton on CNNMoney's "Markets Now" on Wednesday. 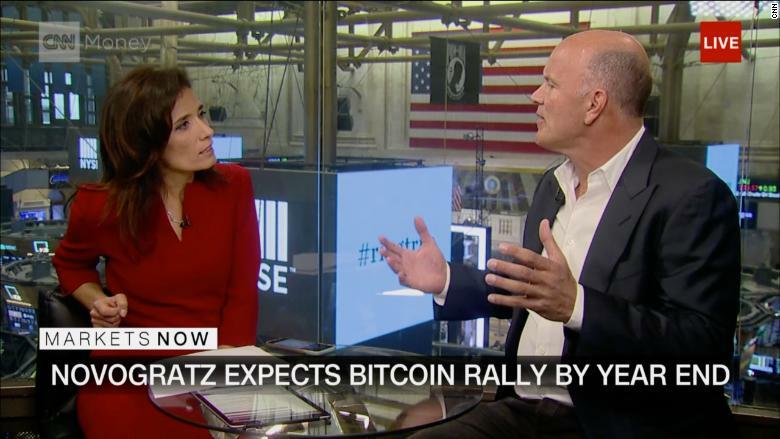 Novogratz pointed out that exchanges and big companies are starting to take the cryptocurrency more seriously. "Starbucks and Microsoft'll allow you to use bitcoin," he said. "As you see more adoption of just people being comfortable with it, it feels like it's going to go up." 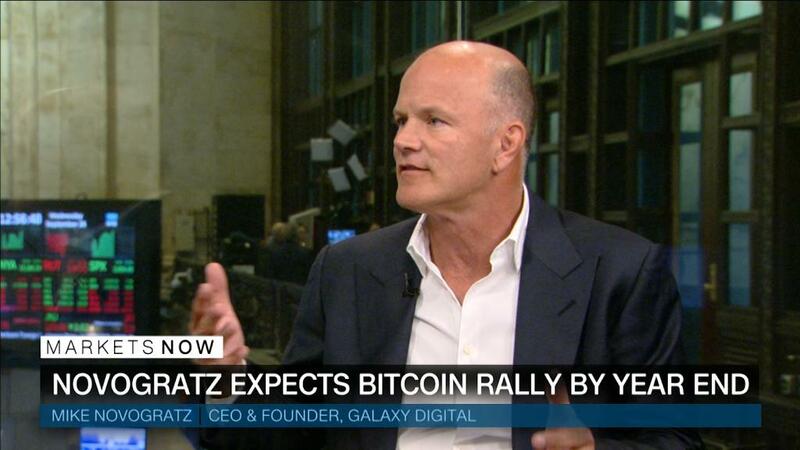 More institutions will jump on board for fear of missing out, Novogratz said. "There's an institutional FOMO going on all of a sudden," he said. Eventually, bitcoin may become a part of people's financial portfolios. "As you start getting custody and service providers in and around the system, it allows pension funds and endowments to get involved." He said that over time, more people will start to think of bitcoin as a store of value, like gold. Galaxy and Bloomberg launched the Bloomberg Galaxy Crypto Index in May. The index tracks the performance of 10 digital currencies, including bitcoin and ethereum. The price of one bitcoin surged to almost $20,000 late last year, then lost almost two-thirds of its value in 2018. But Novogratz thinks the cryptocurrency hit bottom earlier this month. He predicts bitcoin will rally 30% by the end of the year. And in the first quarter of next year, "you'll really start seeing it move." CNNMoney's "Markets Now" streams live from the NYSE every Wednesday at 12:45 p.m. ET. While Novogratz is bullish on crypto, he's cautious on cannabis. But he thinks comparisons between the two are fair. "There's a lot of similarities to crypto of 2017," he said. "There's a limited supply of something that's going to be a major, major theme over the next 5-10 years." Shares of the cannabis company Tilray (TLRY) swung wildly last week. Others have surged on reports of investment or interest from big companies like Coca-Cola (KO) and Constellation Brands (STZ). Novogratz isn't ready to invest yet. "I'll get in cannabis on a significant sell-off from here," he said. When the companies shed about 50% of their value, he'll jump in. "Markets Now" streams live from the New York Stock Exchange every Wednesday at 12:45 p.m. ET. Hosted by CNNMoney's business correspondents, the 15-minute program features incisive commentary from experts.